Jessica here with some exciting news Tampa Bay ~ Cavalia is coming to town & we’ve got your free ticket to the spectacle! 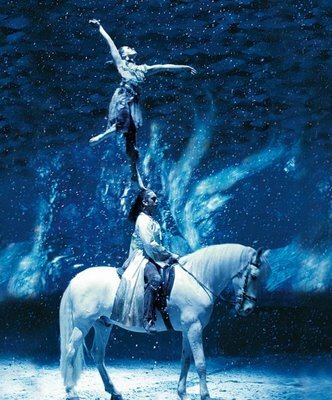 For those of you who don’t know what Cavalia is… check out the website (www.cavalia.net) or read a few of our past blogs regarding this incredible performance! If you see what you like, then check back this Friday for your own chance to win tickets!! That’s right, we promise to have the news on all the hottest Tampa Bay area events and this is no exception… we’ve even got a pair of tickets for you! As always, we will be offering the tickets to our trivia question winner via Facebook --- again, this FRIDAY!! !